I read a very thought provoking post on a forum recently. The person placing the posts was adamant that responsibility for vet’s bills incurred by beater’s dogs whilst working on shoots, should be the partial responsibility of the shoot. I wrote about this topic in another blog last November and it is an interesting subject. What particularly struck me was the misconception, implicit in this post, that all shoots, even the majority of shoots, are profit making. I have a hunch that most are probably more like our own, where we are very lucky to break even at the end of the season. And sometimes even end up out of pocket. There are obviously some that go beating for money, and see it as a paid job. And for them, it is probably important that the shoot they beat on is sufficiently wealthy to be able to support their beaters financially when things go wrong. [wp_ad_camp_1]But I suspect the vast majority of people who go beating, do it as I do, purely as a hobby, and are happy if their ‘expenses’ are enough to cover their travel costs. It is worth bearing in mind that there is probably not a shoot in the country that could afford to pay beaters a legitimate ‘wage’ – that is to say, an amount that is legally above the minimum wage of over £6 per hour. Therefore beaters are not actually employees. But more ‘volunteers’ who get expenses. On our own shoot we do not pay beaters at all, and there is no doubt that they come beating as a hobby, to see old friends, work their dogs, and keep fit. But they are much appreciated and our guns treat them to a good lunch in the local pub at the end of each shoot day. And we return their kindness with several days of free rough shooting and pigeon shooting on the estate. I am sure we are not the only ones. There is a huge variety in the types of shoot that exists in the UK, from the wealthiest estates with hundreds of birds shot per day, through smaller commercial shoots, to privately run non-profit shoots like our own, right down to the smallest syndicates where everyone ‘mucks in’ and provides their labour free of charge. To some it might seem unfair that they have to pay their own vet bills, when their dog is hurt on a shoot, something which I should add, is a fairly unusual event. The problem is, if we have an attitude of being ‘owed’ something, or trying to make things ‘fair’, it can sometimes end up killing the very thing that we enjoy and spoiling it for everyone. It would a shame indeed if legislation and/or demands for ‘free perks’ led to the demise of these smaller shoots that could not even afford to replace beater’s clothing when it gets damaged, much less provide free veterinary treatment for beaters dogs. I feel sure that on most shoots, if a dog was hurt and needed expensive veterinary treatment, and if this was likely to cause hardship to his owner, the guns would offer to help out. I also feel that this would be more of a generous gesture and a privilege rather than a right. Got to agree with you both. I go picking up because I enjoy it, and enjoy seeing my dogs work. I travel a fair distance to get to the shooy, and thoroughly enjoy my time there. Now, as happened last year, when a dog is injured the shoot insists on paying for the vets fees. 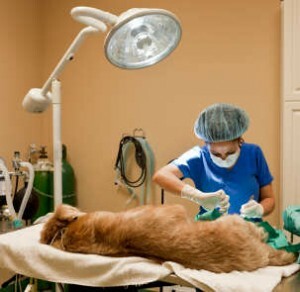 I suppose unusually one of the beaters is also the local vet, so the treatment is pretty swift. As to paying for damaged clothes. sorry they are my clothes and I should have been more careful. I would not expect any shoot to pay for clothes I had damaged. I go on shoots that are run by a small syndicate and always leave the shoot at the end of the day feeling appreciated. We do not get paid but have a good time and the guns always thank us for being there. The other shoots I go on are run on a commercial basis and we do get paid expencses. I think most guns appreciate the work that we all do with our dogs but the commercial shots in my opinion are not as friendly. At the end of the day it is the pleasure that we get out of working our dogs that makes the days enjoyable and we go home looking forward to the next days beating.